Tag line: "Sometimes dead is better"
Moments into the film, we start to get an uneasy feeling. It’s a beautiful day, and a family is moving into their new home in what at first seems to be a peaceful neighborhood. Suddenly, a truck barrels down the road. And then another. It’s at this point we realize the “peaceful neighborhood” is anything but, and that any child who wanders into the street will quickly find themselves in the greatest of danger. It’s a chilling realization, the first of many waiting for us in Stephen King’s Pet Sematary. The new arrivals are the Creed family: Louis (Dale Midkiff), a doctor who’s recently accepted a position with the University of Maine; his wife Rachel (Denise Crosby); and their young children Ellie (Blaze Berdahl) and Gage (Miko Hughes). While unpacking, the Creeds meet their only neighbor, Jud Crandall (Fred Gwynne), who lives just across the street from them. Soon after, Ellie notices a small path extending into the nearby woods, one that leads to a pet cemetery (the sign at the entrance of it is misspelled, reading “Pet Sematary”). According to Jud, kids have been burying their beloved pets there for years, but it turns out this isn’t the area’s only graveyard. Lying a short distance beyond the cemetery is an Indian burial ground that supposedly has the power to bring the dead back to life. At first skeptical, Louis discovers the legend is true when he buries Ellie’s pet cat Church (which wandered too close to the road) in this ancient resting place. The next day, the cat miraculously returns, yet there’s something not quite right about it. Normally a docile animal, Church is now violent (he scratches Louis’ face, something he’d never done before), and seems to follow Louis wherever he goes. Despite these warning signs, Church won't be the only one buried in this sacred spot, and next time the consequences will be even more severe. The main thrust of the story, the ancient locale with the special power, is handled well, and results in some effectively spooky scenes (which grow in intensity as the movie rolls on). But what makes Pet Sematary so unsettling is it features a number of creepy side stories as well. First and foremost is the continual appearance of a ghost, that of college student Victor Pascow (Brad Greenquist), who died on Louis’ operating table of injuries sustained when he was hit by a truck. Because Louis tried to save him, Pascow’s spirit feels obliged to watch over the Creed family, warning them of the dangers involved with resurrecting the deceased (when Louis doesn’t listen, Pascow instead reaches out to young Ellie). On top of this, we’re treated to several disturbing flashback sequences, like when a young Rachel (played as a child by Elizabeth Ureneck) was forced to care for her dying sister Zelda (Andrew Hubatsek), whose body was twisted and deformed as a result of spinal meningitis; or the time Bill Baterman (Chuck Courtney) buried his deceased son Timmy (Peter Stader), a soldier who died in World War II, in the Indian burial ground, kicking off a terrifying chain of events. 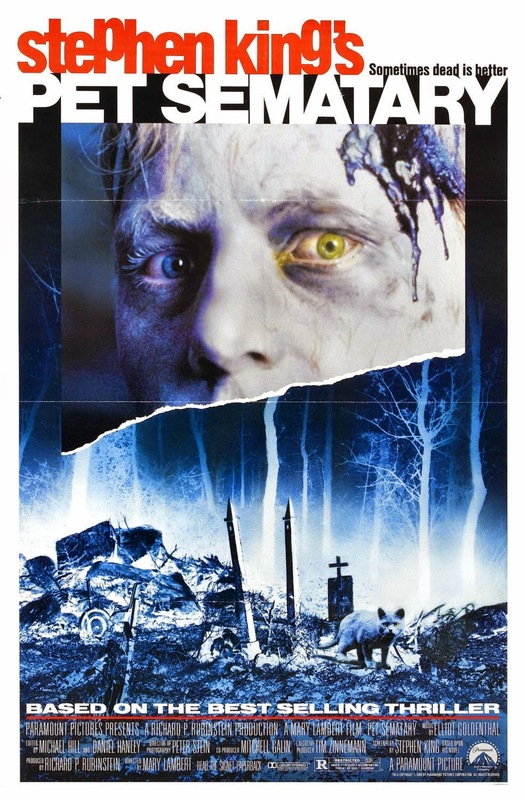 The tale of the Creed family’s experience with the sacred resting place is frightening enough, yet it’s just one of several elements that make Pet Sematary such a horrifying motion picture.